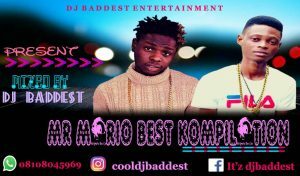 DJ Baddest – Best Of Mr Mario Mix. DJ baddest comes through with a brand new mix and this time he puts all of Mr Mario’s door singles in one mix. DJ baddest is known for his lovely mixes and this one isn’t an exception as he delivers a top notch and shows off his jockey skills.